Interested in TILLING with the UCD TILLING Core? Please visit our How to Get TILLING page for information on how to get started, and our How to Place an Order page for information about placing a TILLING order. TILLING (Targeting Induced Local Lesions IN Genomes) is a general reverse genetic technique that uses traditional chemical mutagenesis methods to create libraries of mutagenized individuals that are later subjected to high-throughput screens for the discovery of mutations. We are based at the UC Davis Genome Center and provide a TILLING service for rice, hexaploid and tetraploid wheat, Arabidopsis thaliana, and tomato. The explosion of DNA sequence information has created a unique opportunity to investigate the function of genes. The approach that determines the function of genes first defined by DNA sequence analysis is referred to as reverse genetics. The tools available for reverse genetics of plants include the use of transposons or T-DNA for gene tagging and the use of RNA interference. While powerful, these methods have limitations. For example, they do not work in all plant species. Targeting Induced Local Lesions IN Genomes (TILLING) is reliable and widely applicable. TILLING combines chemical mutagenesis with mutation screens of pooled PCR products, resulting in the isolation of missense and nonsense mutant alleles of the targeted genes. TILLING has two significant advantages over existing plant gene knock-out tools: first, it is applicable to any plant since it does not require transgenic or cell culture manipulations. Second, it produces an allelic series of mutations including hypomorphic alleles that are useful for genetic analysis. The TILLING technology can be used to discover and survey natural variation. This method is called Ecotilling and has been applied to Arabidopsis and human (see Publications). 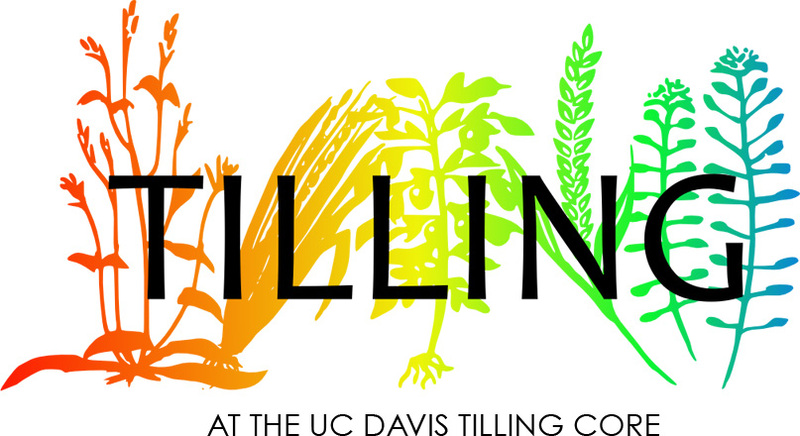 TILLING was originally conceived by Claire McCallum, a UW graduate student who wanted targeted mutations in the chromomethylase genes of Arabidopsis. Chuck Dearolf and collaborators independently conceived a similar project for Drosophila. TILLING in Seattle was developed in collaboration with the Henikoff lab which led to the Seattle TILLING Project (STP), a FHCRC-UW collaboration that provided Arabidopsis and fruit fly mutants. With the departure of Luca Comai from Seattle (Summer 2006), STP is now operated by Steve Henikoff. The TILLING objectives have been split: diploid Arabidopsis and fruit flies remained at STP, while the rice project moved to Davis. In June 2011 the Henikoff lab closed STP and the Arabidopsis DNA is being transferred to UCD where a diploid Arabidopsis TILLING will be offered. Rice TILLING at UCD is carried out in collaboration with the laboratory of Tom Tai, USDA-ARS at Davis. Rice Tilling was funded by USDA-NRI and the Rockefeller Foundation and is presently sustained on user's fees. Wheat TILLING has been developed at UCD in collaboration with Jorge Dubcovsky at the UCD department of Plant Sciences and is funded by a USDA-NRI award. Tomato TILLING is in collaboration with Roger Chetelat and Allan VanDeynze at UC Davis and is funded by a USDA-NRI plant genome award to provide a service to the tomato community. Arabidopsis TILLING We currently offer a tetraploid population of Arabidopsis. This population provides a novel approach to isolate knock-out mutants in genes that are required in the gametophyte, and has been developed in collaboration with the labs of Sundaresan Venkatesan (Sundar) and Simon Chan. The STP diploid population of Arabidopsisis is being transfered to Davis from Seattle and will be offered in the close future. Starting in the fall of 2007, we have converted to TILLING by Sequencing and essentially abandoned the LiCor-CELI mismatch detection method. Research to develop the TILLING_by_Sequencing method using rice, wheat, and arabidopsis as a model system is now funded by an award from the NSF Plant Genome Program. Our progress is summarized in a paper in Plant Physiology. Methods and data from this work are available on the TILLING_by_Sequencing page. Funding for Rice and Tomato TILLING and the forthcoming service is by USDA Cooperative State Research, Education, and Extension Service (CSREES), NRI Plant Genome Program and by a grant from the Rockefeller Foundation. TILLING-by-Sequencing is funded by the NSF Plant Genome Research Program. This page was last modified on 6 April 2013, at 18:10. This page has been accessed 698,219 times.